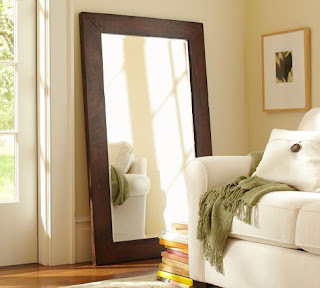 Think large: For great impact, prop an oversize rectangular mirror on the floor. Doing this adjacent to a sofa or chair will make the space feel larger than it is. 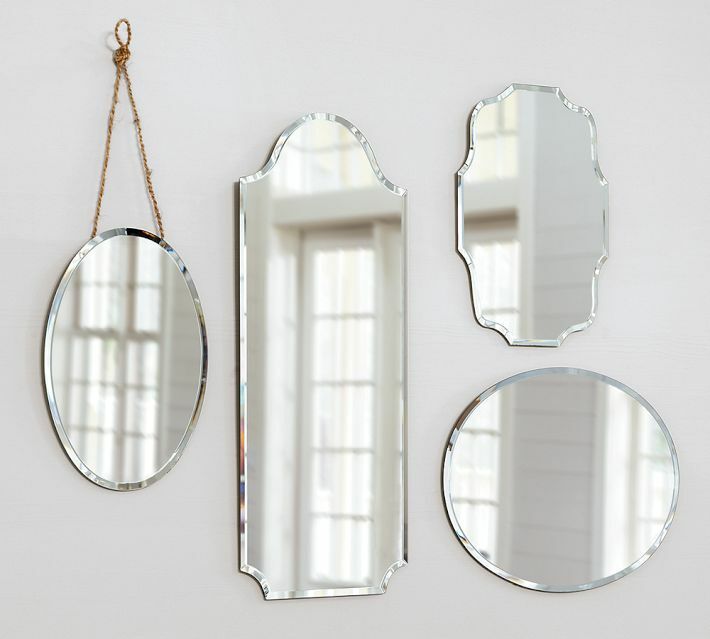 This works well in any space, particularly in a living and dining room. 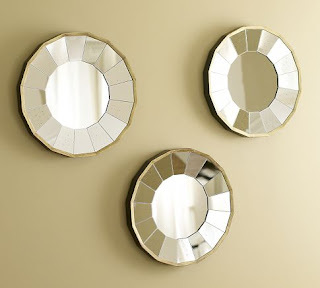 When small is necessary: In a limited space, grouping small mirrors can make the space feel larger. The reflection captured by the collection of mirriors will add dimension to the small area you are working with. A great space to use this tip could be in a hallway between two doors or even above a bedroom dresser. Switching shapes: Don’t be afraid to mix different shapes. Doing this will add variety to the space and make it more fun and interesting. Adding ovals and circles will soften sharp corners of existing rectangular shapes. 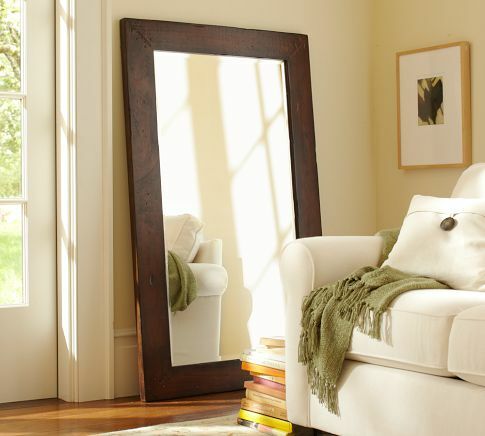 These beautiful mirrors can be found at POTTERY BARN. 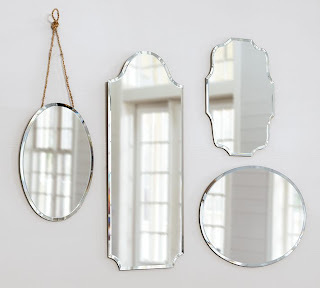 Also, visit some of our favorite stores for more great mirrors: Ballard Designs, West Elm & Restoration Hardware.